Drug addiction is a deadly condition that leads to some of the most devastating consequences an individual or their families could ever even imagine. Financially, socially, economically, emotionally, spiritually and legally, everyone involved in drug addiction suffers. Many people who are addicted to drugs do not even realize that they are addicted and those who do have not idea where to begin to find help. Even when an addict does decide to seek treatment, they are often faced with the inability to cover the cost of rehab or they can’t find a treatment facility that has an opening for them which leads them to continued drug abuse. Drug addiction can lead to permanent changes in the chemical makeup of the brain and may cause long term physical and psychological consequences for the user. In some cases, the addiction can be treated rather quickly with detox and some simple counseling while in other cases, the long term effects of the addiction can take many months or even years to treat. The experiences, consequences and negative aspects of drug addiction can be absolutely crushing to the individual and this can lead to depression, anxiety and a world of psychotic issues. Fortunately, there are many methods of overcoming drug addiction and stopping this physical fight in its tracks. Drug rehab provides the steps and support that addicts need to make a lasting recovery from a range of addictions including addiction to heroin, cocaine, methamphetamine, and prescription medications. If you or someone you love is struggling with addiction and needs help, call 800-895-1695 now to find safe, reliable rehab centers that will cater to your needs. Biology: People who have a family history of substance abuse are more likely to become addicted. In addition, gender, ethnicity, and other biological factors can also affect one’s likelihood of becoming addicted. 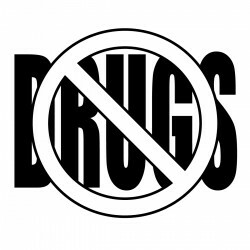 Environment: If a person is around drugs all the time, especially at a young age, they will be more likely to abuse them. Also, if they are dealing with peer pressure, stress, and other outside issues, they may be more likely to try to cope with these problems with extensive substance abuse. Development: When a person starts using drugs at an early age, their brain is still developing. This can cause their substance abuse to start making much faster changes to the way their brain works, leading to addiction. A person’s mental health and life experiences can also factor into their likelihood of becoming an addict. But because anyone can struggle with this disorder after abusing drugs, it is important to look for the signs of uncontrolled use. A person who is addicted, and therefore, in need of treatment, will not be able to control their substance abuse and will continue to abuse drugs, even if their use has severe consequences. Neglecting to take care of personal needs including hygiene and the need to eat, sleep, etc. Acting secretive or strange, not wanting to tell others where they’ve been, etc. When a person begins to exhibit these behaviors, they will often need intensive, professional treatment in a rehab center in order to recover. Use our drug rehab guide to help you overcome your addiction today! Various methods of therapy. This may include cognitive behavioral therapy, cognitive therapies, behavioral therapies or relationship therapy. Specialized tailored programs. No two addicts will respond to the same methods of treatment and therefore, drug rehab programs are tailored to meet the individual needs of the patient on a case by case basis. The ensures the most effective means of treatment is made available. Extended therapy and aftercare. All effective drug rehab programs recognize that therapy does not end just because the patient has finished an inpatient program. Aftercare programs are offered to ensure continued success and support is made available to the recovering addict to ensure that they remain sober. Drug monitoring. Because drug rehab is all about helping an individual to stop using drugs, most drug rehab programs will monitor drug use through random drug tests or other methods of making sure that the patient is abstaining from drug abuse. Medical intervention for other health conditions. Drug rehab programs offer a number of medical interventions and services to assist patients in the treatment of other health conditions such as disease, mental illness or physical ailments. It is not uncommon for those who use drugs to suffer from an underlying mental health condition. In fact, many drug addicts use drugs as a method of self-medicating some other mental illness such as anxiety, depression or a similar condition. In other cases, drug abuse can lead to mental illness or escalated mental illness. Dual diagnosis is a common problem in drug rehab and it’s a problem that must be addressed in order to ensure that the patient recovers from their addiction. Detox: Detoxification is the process of using medications to safely allow a patient to withdraw from a drug. Because many drugs cause painful and, in some cases, even life-threatening withdrawal effects when an addicted individual suddenly stops using them, this part of the treatment process usually must occur first. However, this does not mean that, once a person goes through detox, they are cured of their addiction. “Detox alone with no follow-up is not treatment” (NIDA). Group therapy is offered in most drug rehab programs. Opioids: Methadone and buprenorphine can both be taken in the long-term to treat opioid addiction, and the former is usually a better option for those with more severe addictions. Naltrexone is sometimes beneficial as well, especially for those who are highly motivated to quit their substance abuse. Alcohol: Naltrexone is often used to treat alcoholics because it can block the receptors in the brain that are associated with alcohol’s effects. Acamprosate can be used to treat symptoms of long-lasting withdrawal, and disulfiram actually affects the user’s ability to breakdown alcohol. When a person drinks while taking disulfiram, they will experience severe physical side effects. Treatment for comorbid disorders: Any co-occurring disorders the person may be suffering from in addition to their addiction also need to be treated as part of addiction rehab. According to the NIDA, people with addictions are roughly twice as likely to suffer from a mental disorder as the general population, with the reverse also true. Because of this issue, patients must be treated for all disorders (such as depression, bipolar disorder, schizophrenia, etc.). The evidence-based practices associated with addiction rehab are usually necessary for a safe, effective recovery. In addition, certain patients may benefit from additional options such as holistic methods like yoga and meditation or support group meetings. These options can be beneficial supplements to treatment and can help fill out a well-rounded rehab program. What Types of Drug Rehab Programs Are There? While there are many different types of treatment options for addiction, there are only a few rehab centers or programs that provide this type of care. Inpatient centers: Inpatient care provides patients with 24-hour treatment in a controlled environment. Patients also receive round-the-clock access to health care professionals. These facilities are usually hospital-based and most effective for those who have severe addictions and serious comorbid disorders. Residential centers: Residential rehab programs also provide 24-hour care but are usually not in a hospital setting. However, this option can be beneficial for patients who need to be in a controlled environment to overcome their addictions, especially early on in recovery. Outpatient centers: Outpatient programs often provide patients with a schedule for when they are to attend treatment. In some cases, this can be as often as once a day or two or three times a week. Patients are able to continue to live their lives around their treatment schedules. These are the most common rehab programs available for addiction recovery. In some cases, a patient may choose to see a therapist on an individual basis or attend support group meetings, but traditional rehab will usually occur in one of these three facility types. How Do I Choose the Right Drug Rehab Program? For example, if you have a severe addiction, you may want to choose either inpatient or residential care, especially if you may be likely to relapse. You may also want to choose a more intensive option if you are suffering from a comorbid disorder or have a lack of social support at home. How Can I Find Drug Rehab Centers? We want to help you find the drug rehab center that will best be able to treat your addiction safely and effectively. Call 800-895-1695 now to be matched with a program. 5 Quality Conversations to Have with Your Rehab Counselor - Your rehab counselor can help improve your addiction recovery outcomes. 7 Things to Expect in Inpatient Rehab - There are certain procedures, rules, activities, and accommodations you should expect to experience in inpatient rehab. Are there Really Free Drug Addiction Treatment Options? - In response to the need for substance abuse treatment som free rehab programs have been set up. Churches, government groups and charity groups are mostly to thank for these free options. Benefits of Family Therapy in Drug Rehab - In the journey of addiction recovery many people go to rehab. Having the support and understanding of family members is very helpful, and family therapy helps foster that. Benefits of Inpatient Drug Rehab - Are you ready to make a change and kick your addiction for good? Inpatient drug rehab programs are here to help you overcome your addiction in a safe and comfortable environment. Choosing Between the Different Types of Rehab - Choosing between the types of drug rehab may seem difficult, but once you break it down you will have a better idea of what will work for you. Treatment specialists can help you make the right choice. Dangers of Replacing Addictions Rather than Healing - Addiction recovery is not about replacing an addiction with something else. Instead, it is about healing from that addiction and in the process building a new life. How Long Does Drug Rehab Take? - Research shows that there are higher rates of success with longer-term rehab programs for drug addiction. There are, however, both long and short term programs available, ranging from around 30 days to 2 years. How Long Does Drug Rehab Take? - Rehab programs have varying lengths. Some are 28 days, others 60, others 90 or more, and there may even be programs in between. Treatment of 90 days is often recommended, however it is not mandatory. How Will Socializing in Rehab Help Me Recover? 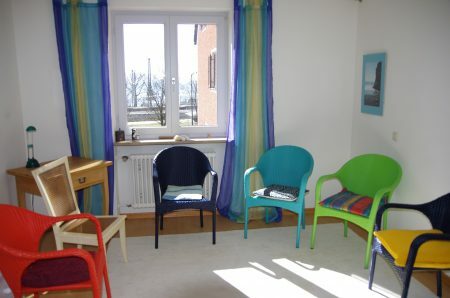 - Group therapy in rehab has many benefits that will improve your chances of a successful recovery. Inpatient or Outpatient Drug Rehab? - When determining if inpatient or outpatient drug rehab is the best for you, you will need to look at your needs. Each offers treatment and support but they each take different approaches. Is Inpatient Drug Rehab Right for Me? - When you are in need of medicine and a professional medical staff at different times of the day, it’s the best to seek out to a inpatient drug rehab center. Preparing for Rehab: 5 Things to Do Before You Go - Being prepared will help you have a successful rehab experience. What are the Different Types of Rehab for Substance Abuse? - Rehab can help you overcome a substance abuse problem. Inpatient programs and outpatient rehab are the main types, though individual counseling and other treatments can help too.